RAPID CITY, S.D. 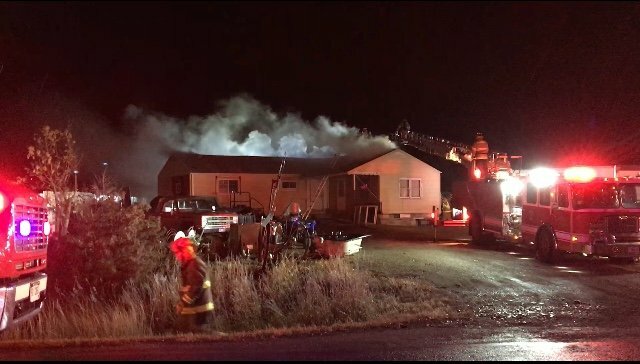 – A house fire broke out on Country Road Friday evening. Fortunately, the family of three made it out of the home safely. As of now, the cause of the fire is being investigated. Two of the residents got out of the house immediately. A man that lives in the house stayed behind to try to put out the fire but was later rescued by the Pennington County Fire Service. The family was left displaced and will be taken care of by the Red Cross. The Pennington County Fire Service wants to remind you to go over a fire safety plan with your family or roommates. Always have an escape plan and a fire extinguisher in the house.